How much do you know about PP pleated filter cartridge? 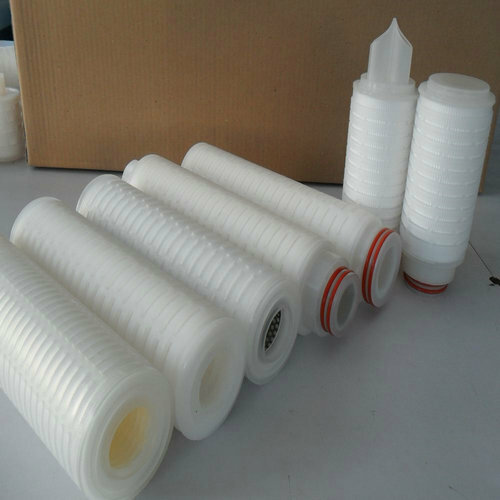 PP pleated filter cartridge is made of pleated polypropylene membrane, polypropylene non-woven fabrics and polypropylene cage. During the production, it is purity, free of surfactants, resins, binders and adhesives. It can be used for the liquid and gas prefiltration and clarification. SIIC-M025 from Shanghai Indro Industry Co., Ltd is special machines for making PP pleated filter cartridges, it is complete pleated filter cartridge production line, including pleats making, pleats length cutting, middle seam welding, cap welding, fitting end welding and length connector welding. Meet the current FDA after cleaned and flushed with Pyrogen-free water. 6. Clarification of waste water treatment. The complete pleated filter cartridge production process includes pleats making, pleats length cutting, middle seam welding, cap welding, fitting end welding and length connector welding. SIIC-M025 from Shanghai Indro Industry Co., Ltd is special machines and production line for making PP pleated filter cartridges.